Shifter cable bushings are a cost-effective, simple way to add that notchy, crisp feel that you associate with a solid feeling shifter. Don’t be fooled into thinking that all shifter cable bushings are created equal. Many companies make the mistake of assuming both bushings used in the k-series shifter cables can be replaced with solid metal or delrin bushing. This is not the case. Honda uses rubber bushings in their cables because it’s a cost-effective way to allow 2-degrees of freedom. A solid metal or delrin bushing allows only 1-degree of freedom. Generally speaking, eliminating a degree of freedom in the bushings translates into more effort required to shift and the potential to bend and ruin your shifter cables. That’s why the Hybrid Racing incorporates a chrome-plated steel spherical bearing into their shifter bushings. This gives the crisp, notchy feel you expect from shifter bushings without the extra effort required to shift, like other brands of bushings. All shifter bushings are supplied with spiral retaining rings to hold them into the cables, along with stainless steel cotter pins to hold the cables to the transmission. 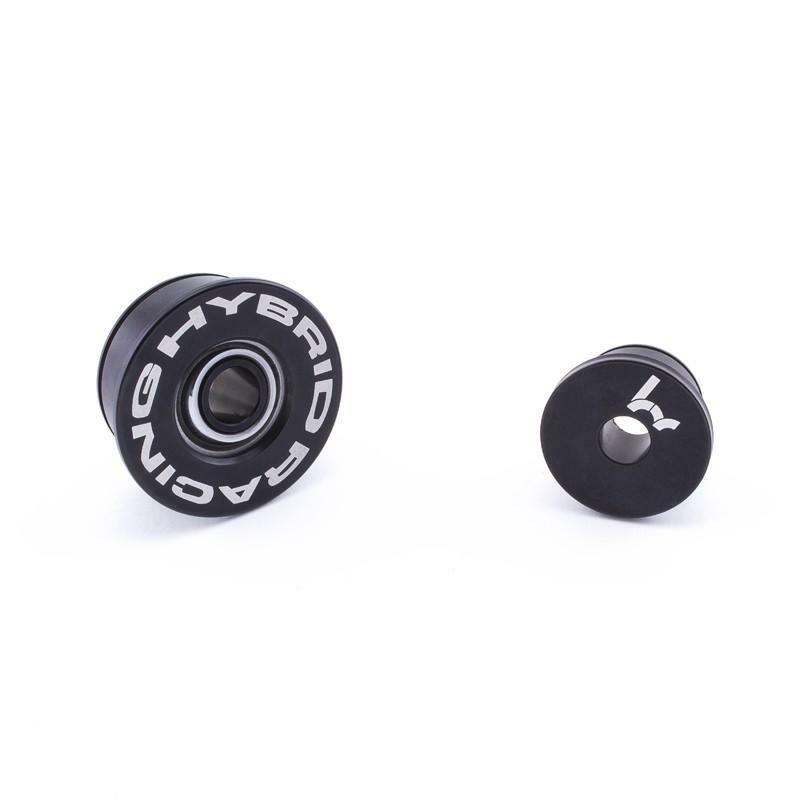 The bushings are constructed from 6061 aluminum and are black anodized, for added protection from corrosion.